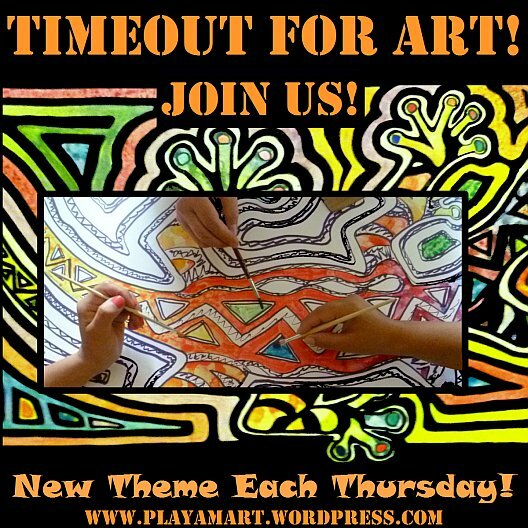 There’s a new photo challenge on the block; how could I resist a personal invitation to contribute to a blog called, Let’s Be Wild? We’re asked to contribute a post that represents the season of fall. 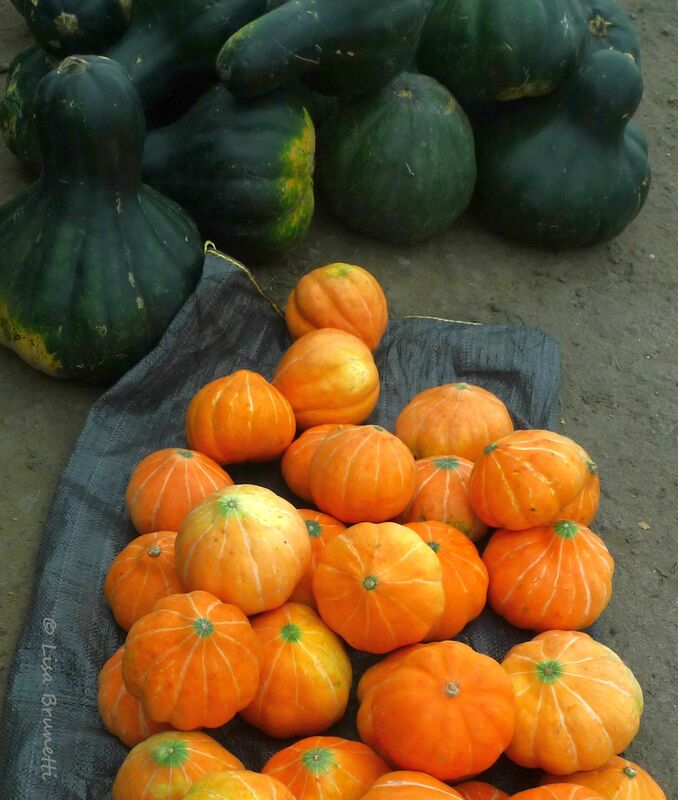 The category of “Fall” doesn’t apply well here in Ecuador, though there are certainly splashes of color and harvest scenes that remind me of fall! The cacao’s autumn colors make it almost too lovely to process. Most of us happily accept the final result of mouth-watering chocolate! 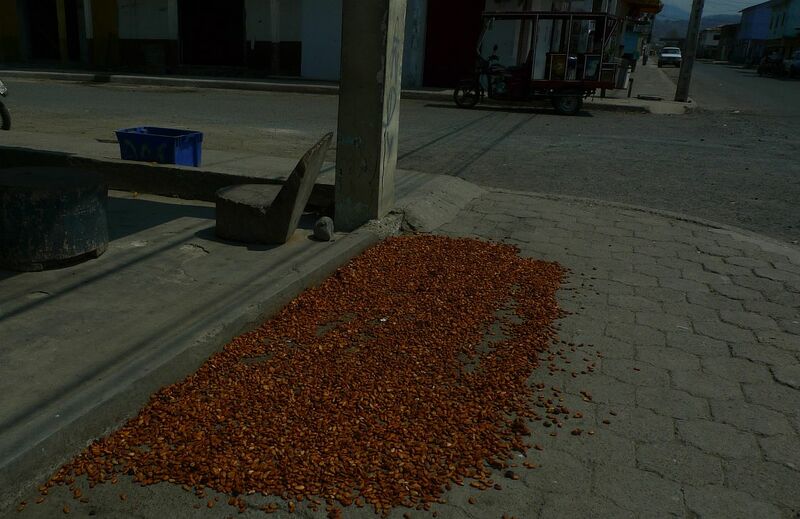 The cacao seeds, raked throughout the day, dry on the sidewalk and are returned inside each evening. Fall-like colors brighten the sidewalk market. The pumpkin-orange colors represent fall best in the rural area where I live. When I see these splashes of color along the roadside, I always think of Halloween, of the cotton harvest and of pecans back in Dixie! For more illustrations of Fall, visit http://www.letsbewild.com/photo-challenge/wild-weekly-photo-challenge-1-fall. You see the world through a prism and the result is a world of color! How delightful! thank you so much, hugh! i am so blessed that i can see color that my sons do not see! because of their color deficiencies, i am grateful that i can! thank you so much! as i have stated, the artist’s eyes never rest.. they’re always looking, searching, sorting, analyzing like a computer cursor pulsating across the field of view! did jack take the gravatar image of you? i love the greens behind you and the happy bright colors around you (!) and of course your genuine smile! Just lovely! 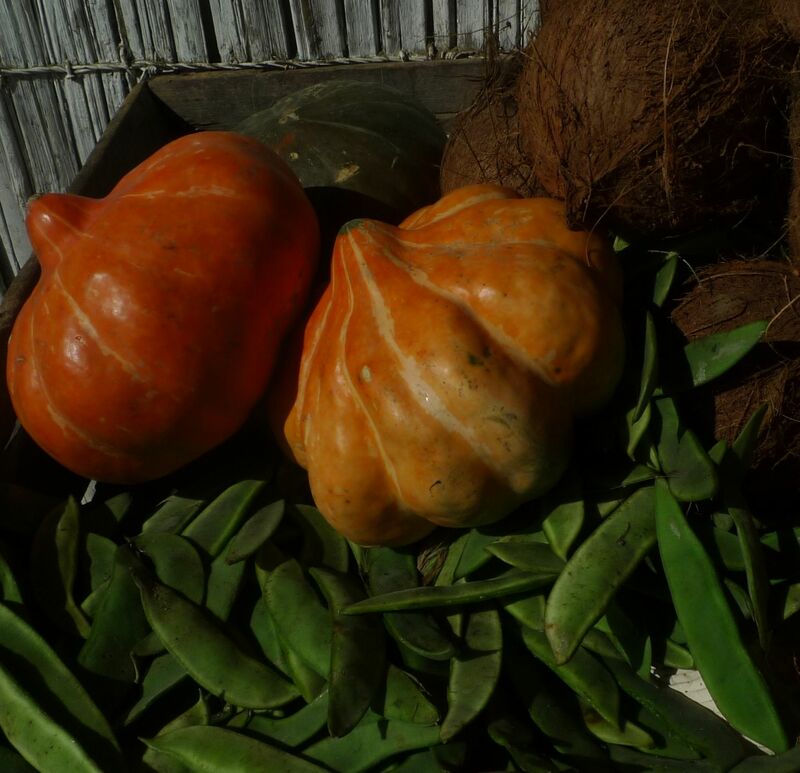 Colours, fruits, seeds – I can almost feel, smell and taste…I once went to Peru and Ecuador, back in the 80s. I would love to go again…I was so young then and sadly enough I didn´t have a camera of my own. i am glad that this gave you a little trip back to south america. how we often wish to have a camera to record something that has a strong effect, but sometimes we make a stronger effort to brand it into our memory! wow! thank you so very much! the ceibo and i are honored! Finally, a minute to go and find a little tidbit for you I think you’ll enjoy. There’s a wonderful chocolatier in Seattle/Portland called Moonstruck. I’ve been gifted with a box or two of their truffles, and they’re the best I’ve ever had. One of the chocolates they produce as bars is called Fortunata. It was native to Eucuador. You can read some of its history and its recovery for our enjoyment here. I had no idea cacao turned such lovely autumn colors! Beautiful! Thanks! That’s a great short feature! Thanks for sharing. Yes, Ecuador produces some great chocolate, and most of the world’s finest chocolates originate from cacao grown in Ecuador. 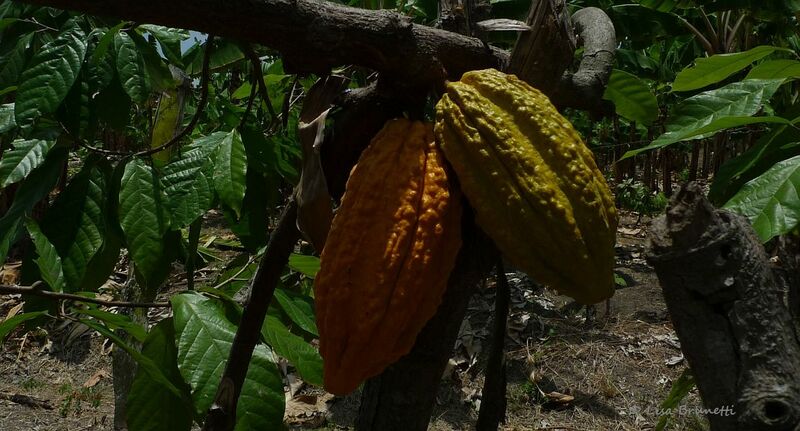 Like coffee, cacao trees are often grown in the shade of taller species; here they often are interplanted with plantains. the beautiful pods are so bizaree and cling to the branches like in a Dr. Sues storybook! Cut open the ripe pods and the guanabana-like fruit is delicious! the next time i visit my friend’s cacao farm, i will take more photos and ask more questions! Beautiful photos and colors and congratulations to you! muchas gracias, and the same to you! next week i will be in the andes, where soothing onion soup is often on the menu. it will be good, but i will be looking for mushroom soup as good as the one you featured! I don’t think that tree would be allowed to remain in the cornfield in North America! It’s really beautiful!